Yesterday I was at a local shopping mall for an interview. I love a Starbucks for a convenient, comfortable and easy location to interview the students who are applying to my alma mater in the US. After the interview, I sat in a nearby corridor to read some emails and the pictured display caught my eye. Not only because the models are plus-size (not common in this land of the skinny and small) but because that middle dress is ridiculous. No, I'm kidding. Well, not completely. It caught my eye because of the sign emblazoned on the window at chest level of these poor mannequins. 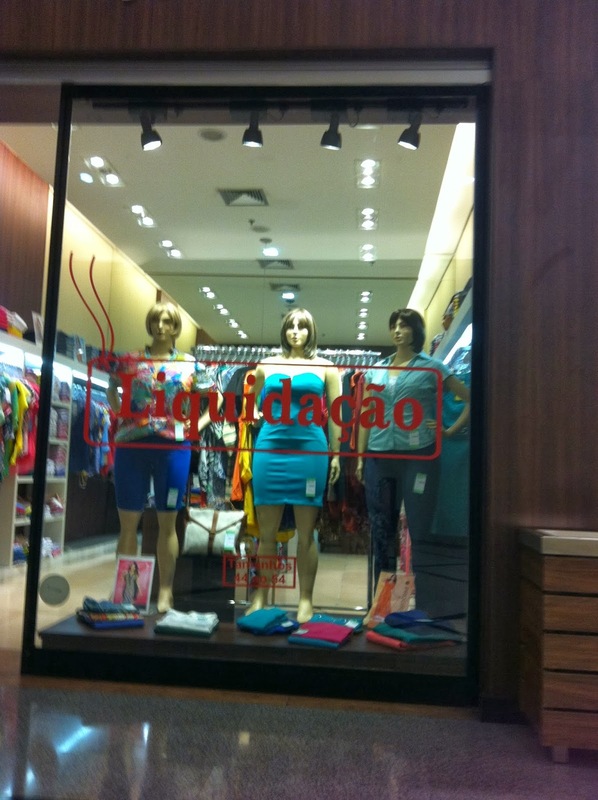 It says "Liquidação" or Liquidation with some steamy looking smoke off the left corner. It seems to be asking for these ladies to be liquidated, or wiped out, if you do a direct translation. Because in English, liquidation does not mean "sale", it means a "settlement (assets cover liabilities), elimination or extermination" (see dictionary entry here--it's Princeton, you can believe it). We like to liquidate the enemy if you listen to some of the military talk. Neutralize preferably. 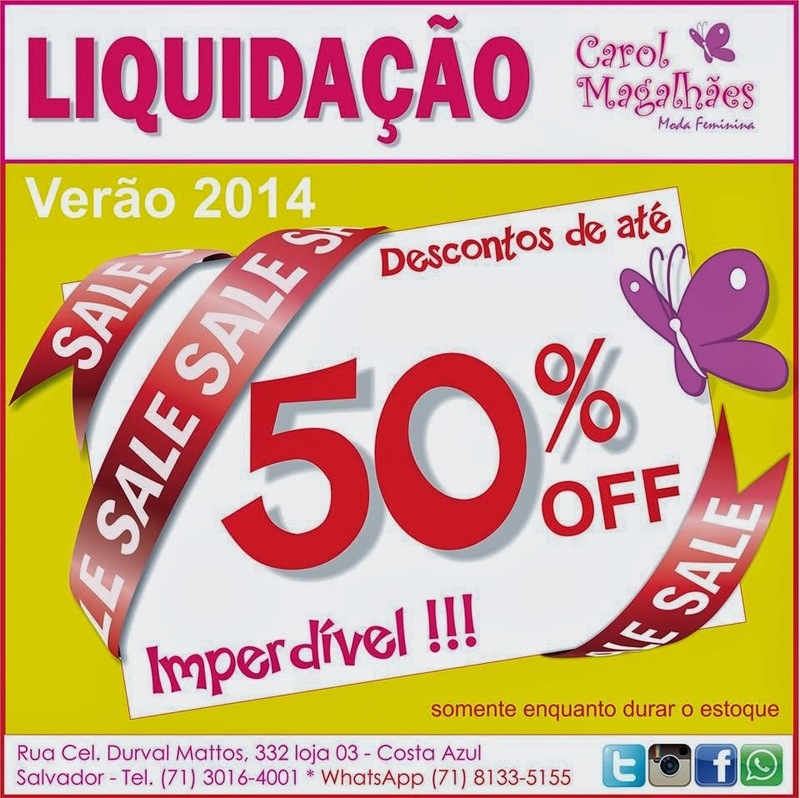 "Liquidação is a false friend, as I can almost hear my French teacher in high school say. Madame Dupres. Man, she scared the cookies out of me. Anyway, in Portuguese, "liquidação" can mean settlement, but seems to be more commonly used in the meaning of "fire sale" (hence the smoke coming from these ladies?). 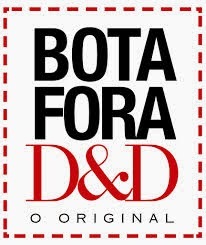 You might also see "bota fora" ("put outside") which is my other favorite sign of a big sale. At D&D Shopping, it literally is "throw outside"--the on-sale furniture is outside the stores in the corridors of the mall. I think we call it a "sidewalk sale" in the US where we actually have sidewalks that are useable. Sorry, just a small jab today. Did it hurt? No. I vote to liquidate (American sense) this sign.